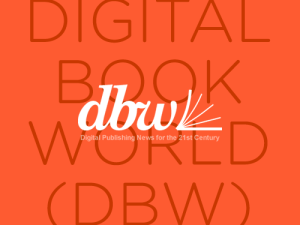 12.23.2014 | The Digital Book World Conference + Expo, kicking off on January 13, 2015 is packed with an incredible amount of information and ideas about the digital publishing landscape at a time of remarkable transformations. To help attendees make the most out of those three days, Digital Book World is sitting down with conference speakers to help lay the groundwork for conversations that will take place at the conference and continue for many weeks and months afterward. This is the thirteenth installment in our Digital Publishing Questions blog series, featuring Marcello Vena, Founder and Managing Partner of All Brain. What do you think has been the most newsworthy event in the past year around publishing and digital change? There was a lot of big news. The Amazon-Hachette dispute was certainly the most debated. Subscription services were another hot topic, as was the acquisition of Harlequin by HarperCollins. But to me the most noteworthy event was the launch of the Fire Phone. As e-commerce is turning into ‘m-commerce,’ it’s clear that e-commerce leaders need to have compelling mobile strategies. Only Amazon could possibly deem it feasible to launch its own smartphone, seven years after the launch of the first iPhone. We should take for granted they were prepared for the flop (though perhaps not such a big one), and therefore we should not see it as a total failure. Amazon is gaining valuable experience and will not make the same mistakes twice. Be ready for a second attempt within the next twelve to eighteen months. M-commerce is bound to stay; just wait for the Moore’s Law to kick in and see what happens to the prices of smartphones in two to four years.